On July 1, 2016 Amaretto held the Amaretto Jamboree Auction and unveiled the second Horse in the line of Seven Heavenly Virtues Horses. 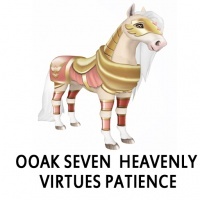 Duckkula Resident was the winning bidder on the OOAK Seven Heavenly Virtues – Patience. Congratulations Duckkula! 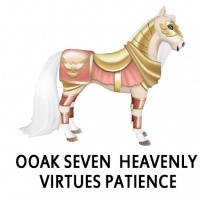 The OOAK Seven Heavenly Virtues Patience does NOT pass it's coat! There are hidden surprises in this OOAK! 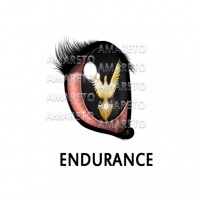 The Endurance Eye DOES have the ability to Pass! This page was last edited on 20 October 2016, at 17:48.